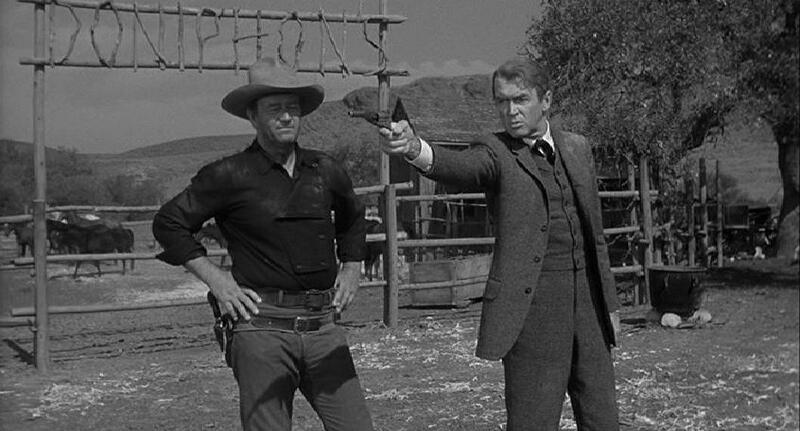 Man Who Shot Liberty Valance | You may clap? I know those law books mean a lot to you, but not out here. Out here a man settles his own problems. When Senator Ransom Stoddard (Jimmy Stewart) arrives to the town of Shinbone with his wife Hallie (Vera Miles) for a funeral, the townsfolk become curious as to who’s funeral he’s attending and why. Though a few people seem to know the senator well, and it’s established that he spent time there earlier on his life, no one seems to know of the Stoddard’s friend Tom Doniphon (John Wayne). Demanding that they know the truth about the senator’s visit, the local news reporters convince him to tell the tale of his arrival in Shinbone many years ago, his connection to the mysterious Tom Doniphon, and the shooting death of town outlaw Liberty Valance (Lee Marvin). The bulk of this John Ford film is this old west tale. Check out the trailer below. For the greater majority of my life (meaning the entire portion that I remember), Jimmy Stewart and John Wayne have been larger-than-life acting gods. I suppose this has little to do with their actual skill as actors, but rather their iconic presence on-screen. It’s a Wonderful Life is one of my all-time favorite movies (not just at Christmas), and Rooster Cogburn, McLintock, and In Harms Way — amongst others — seemed to always be playing at my grandfather’s house in my earlier years. That said, when a fellow movie buff recommended a film to me with both Jimmy Stewart and John Wayne in it, I jumped on the opportunity to enjoy both of these iconic actors at the same time. 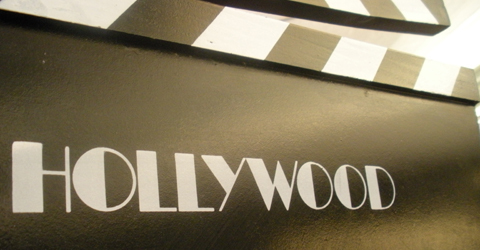 The film was nominated for an Academy Award for Best Costume Design (Black and White). I have mixed emotions about this flick for several reasons. On one hand, I’m completely underwhelmed by Jimmy Stewart’s performance. The character of Ransom Stoddard reminded me of Mr. Smith Goes to Washington in the west. He was too preachy with his law-abiding morals, and downright annoying as a schoolteacher. On the flip-side, I thought John Wayne’s performance was excellent. He stood up to my expectations, and even showed a bit of conflicted depth when dealing with his feelings towards Vera Miles’s character, and even his feelings towards coaching Stewart’s character about the ways of the west. The true surprise for me was Lee Marvin as Liberty Valance. I’m not sure I’ve seen Marvin in anything before, and now I’m totally drawn to him. He represented pure evil in this film, and I have to say even I was a bit afraid of him by the end. In one of my favorite clips from the film, Liberty Valance’s character trips Random Stoddard, causing Tom Doniphon’s steak to fall on the floor. This is the resulting interaction between the three characters. It’s scene’s like this that make the film entertaining and fulfilling as a western. That, and the fact that this is the film where John Wayne coins the word “pilgrim.” He apparently says it 23 times in this movie, and once in McClintock. Here’s a fun little clip someone put together of each occurence of the word in this film. Right, so enough fooling around… pilgrim. What did I think of the flick? This is a tough call, because honestly I didn’t feel fulfilled at the end of it. The conclusion is somber, to say the least — a real downer for a western. The good guy wins, I suppose, but another good guy sort of lost… a lot. It’s not your typical western in that regard. That said, it has a sort of honesty to it that can’t be ignored. It addresses the ghosts in Senator Stoddard’s past, and how those ghosts (or legends) got him to his place in life. Who can’t relate to that? In the end, though, I have to say I was mildly disappointed in the film overall. I wanted to like it so badly, and perhaps that was my downfall. 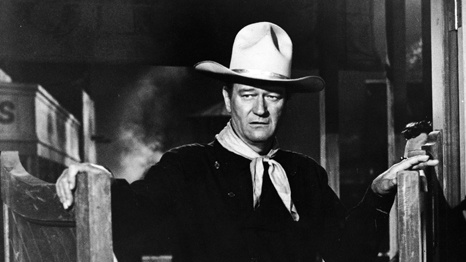 You might clap for The Man Who Shot Liberty Valance, but I unfortunately can only clap for the satisfaction of finally seeing John Wayne say “pilgrim” multiple times in one movie.